And then I unsewed. And then I sewed again. 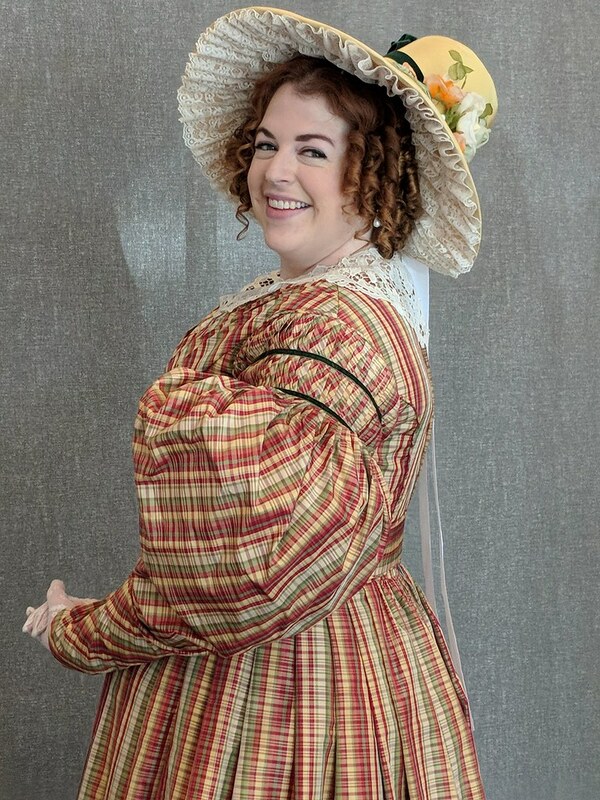 I had pulled out TV 121 because I liked the detachable train, and it said it would work as a petticoat for the 1890s, even though it's supposed to be natural form. Except it totally doesn't work for 1890s. 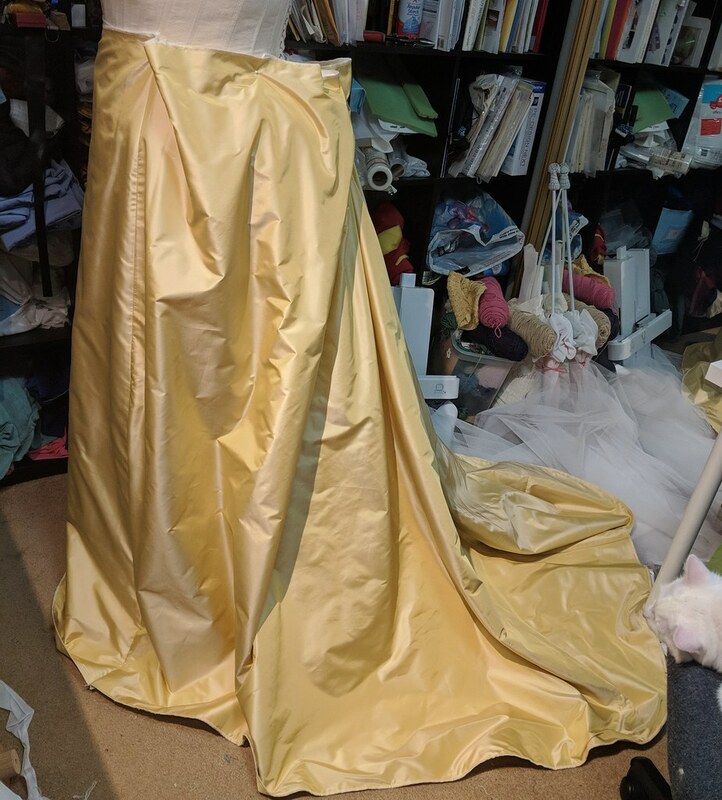 And naturally, I realized this after cutting out all the skirt pieces and a couple of the ruffle pieces, and sewing together the front panels of the skirt. So then I was left with, how do I take what I have already cut out, and translate it into something that actually works. Luckily, I also had TV 170 on hand, and view 4 says it's for the 1890s. Maybe this time it will be true? Anyway, I am doing a modified version of the 170 pattern now, since I was trying to use what I had on hand, at least a little. I completely recut the center front piece (luckily, I got a whole bunch of the Pimatex for this), and cut the side fronts out of the four front panels of the 121 pattern. For the back, I cut the top layer of the 121 back in half, and added in the bottom layer in the center. 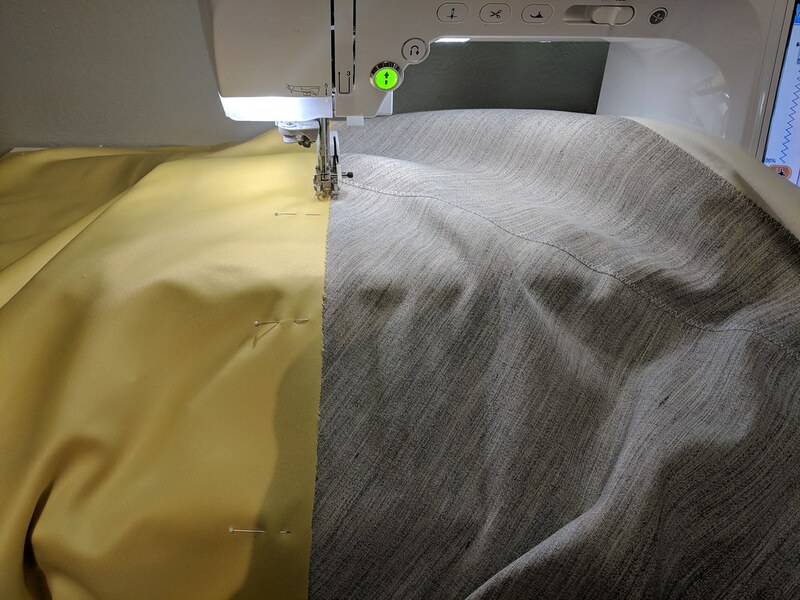 It's pretty much exactly the back width of the 170 piece now at the waist, and it flares out wider to the hem, which I think will be better for me anyway. 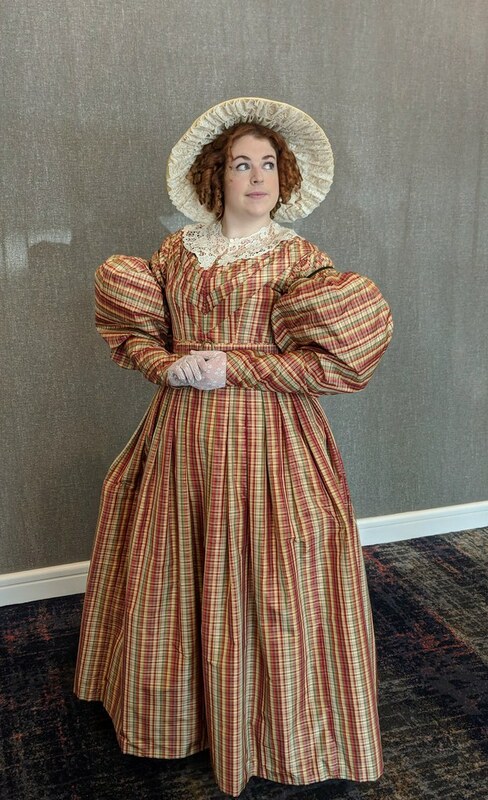 I have just the side seams to go, then all of those will be together, and then I have to figure out how I want the ruffles. I do still want to do a detachable train, too, since the skirt will have a big train. 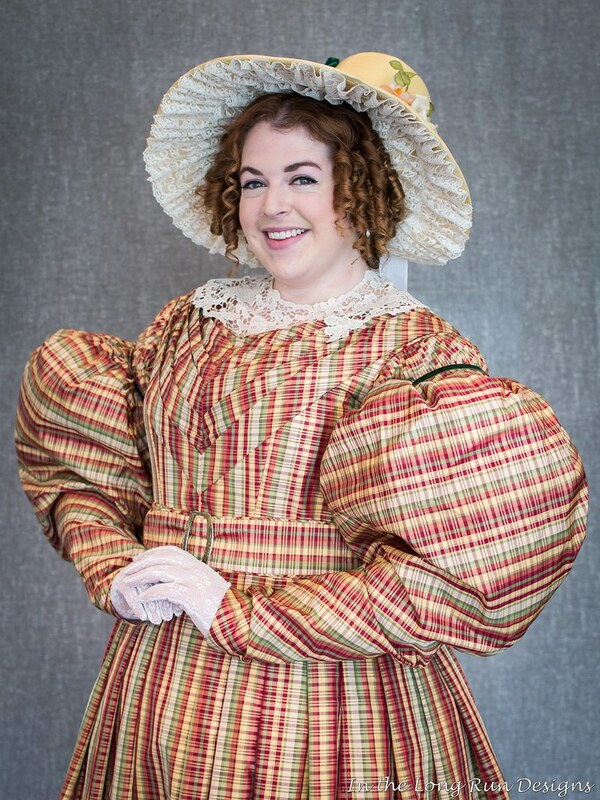 I am a little tempted to start on the skirt, though, so that I can see just what shape I need the petticoat to be, and then winging it from there. I don't know why I thought this would be as easy as grabbing a pattern off the shelf. I'm incapable of making things easy. And of course, now that I'm back in the mood to sew, I need to stop and spend all my free time cleaning the house, because my mom comes to visit on Thursday night. I feel like having unsuccessful mockups makes me have really bad CADD. 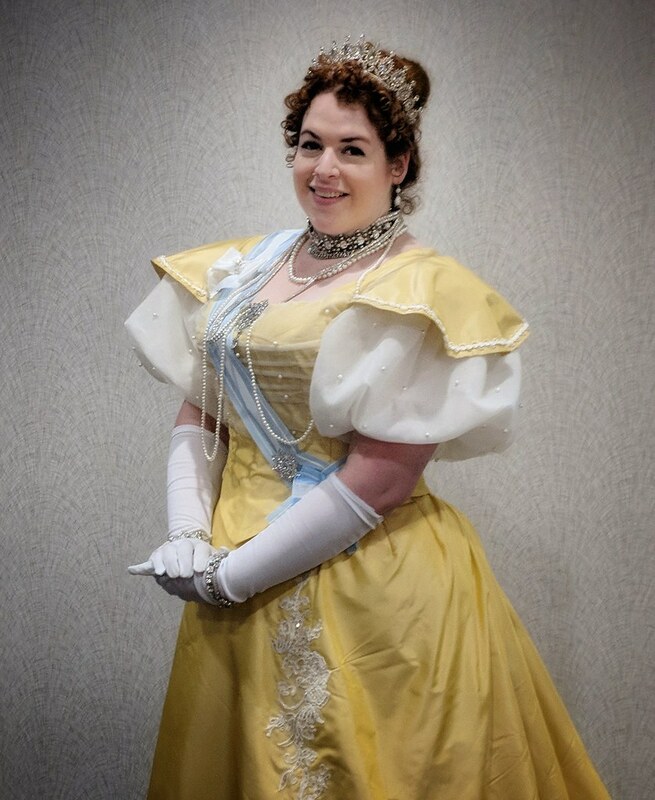 So naturally, I haven't touched the Regency dress in about a week at this point, because sleeve mockup #1 didn't work. 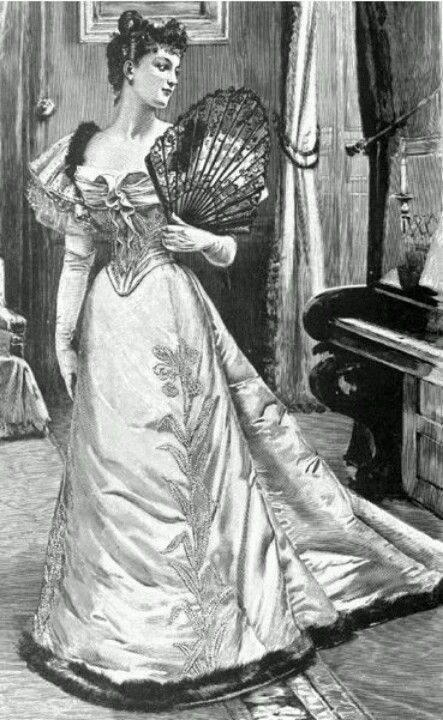 Instead, I've been planning and plotting for the 1890s gala gown. At this point, I'm still in the gathering materials phase. 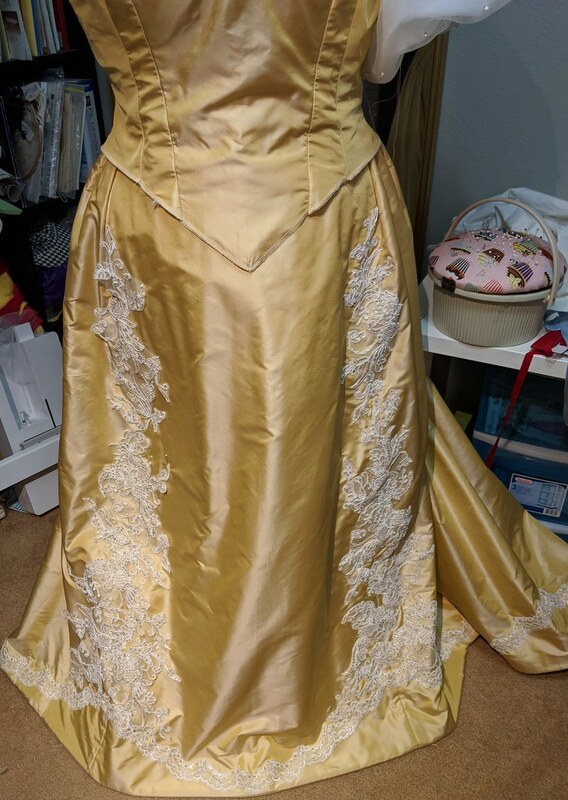 I've had the yellow silk since last year, but I needed lining materials, and everything for the embellishments. Because I have no patience (and it's hard to find), I'm not using princess lace tape. Instead, I'm going to be cutting up embroidered and pre-embellished bridal trim. Or at least, that's the plan. I found one I liked and ordered it from aliexpress, so I guess I'll find out in a month if it will actually work. And if the 9m I ordered is enough! 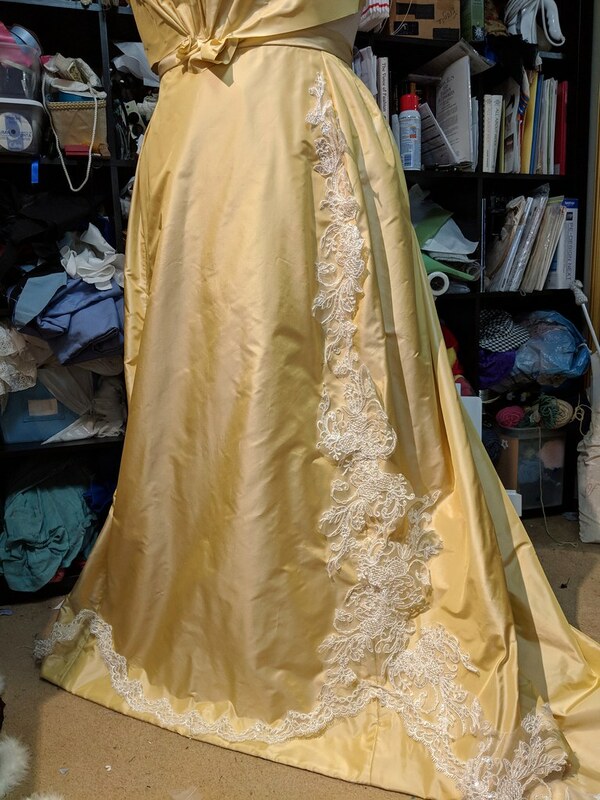 I also went to one of the giant Joanns yesterday to buy sateen for the skirt lining, and the matte satin for the cutaway sections of the skirt. 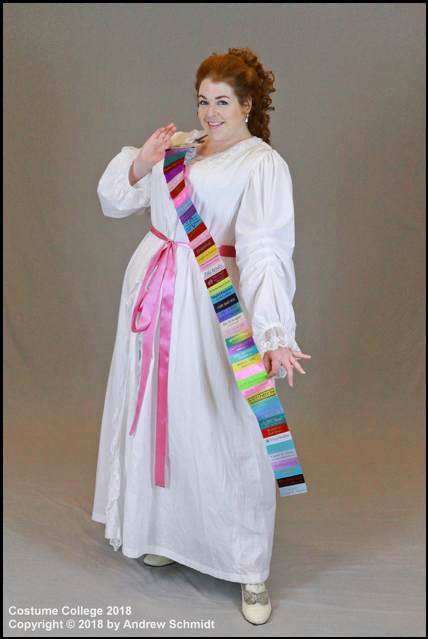 I still need to get hair canvas for the hem, and I need to get fabric for the petticoat, but I hope to order both of those this afternoon. 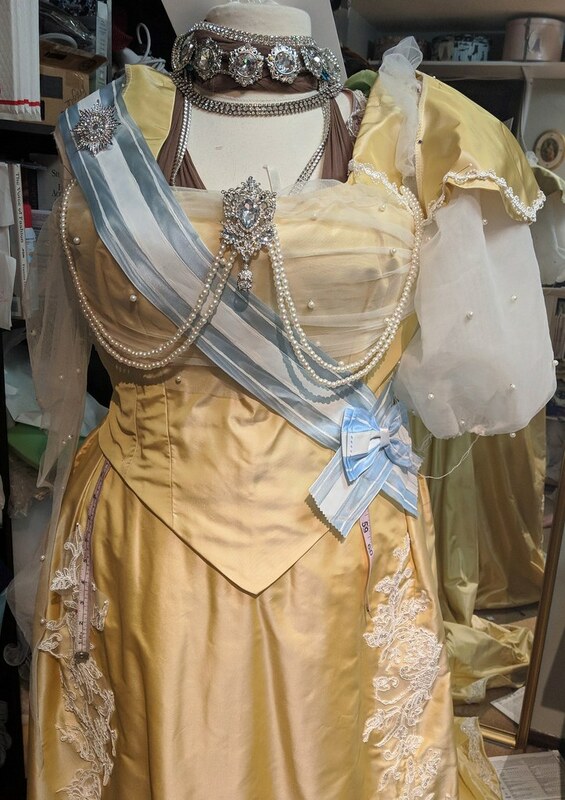 Of course, I want to work on the skirt right away, but first I at least need to make the petticoat, and I should make the corset as well. 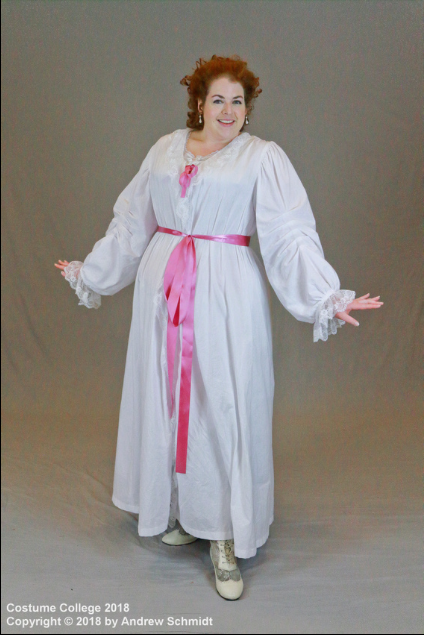 And I really need to finish the Regency dress and get that out of the way. I'm ordering the fabric for the long sleeve part, but otherwise, I want it done. 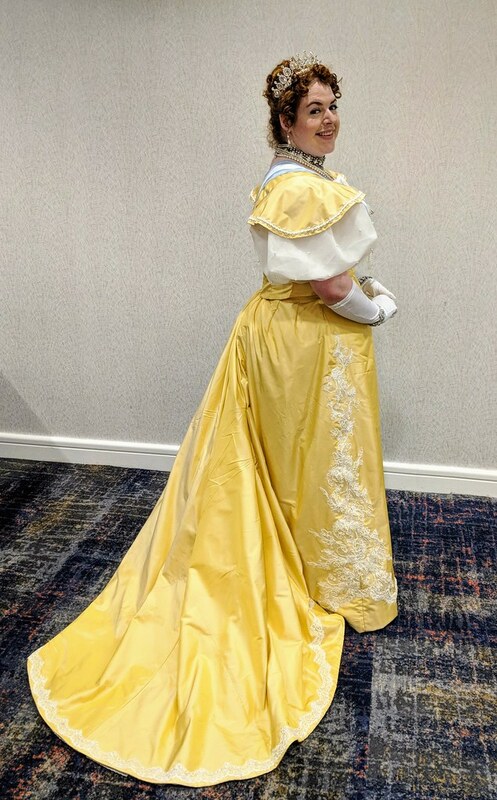 Also, I know I have posted this a bunch of different places, but what is the best fabric for an 1890s trained petticoat? I'm using TV 121, though hopefully modifying it to be more like TV 125 if I can figure out how. 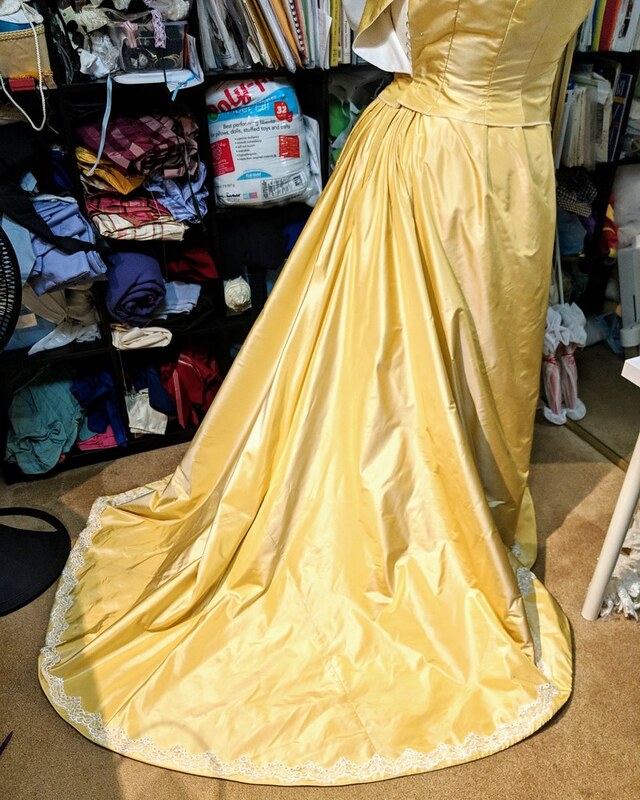 By the way, I'm really concerned this is going to turn out super tacky, with the feathered hem. Ack! 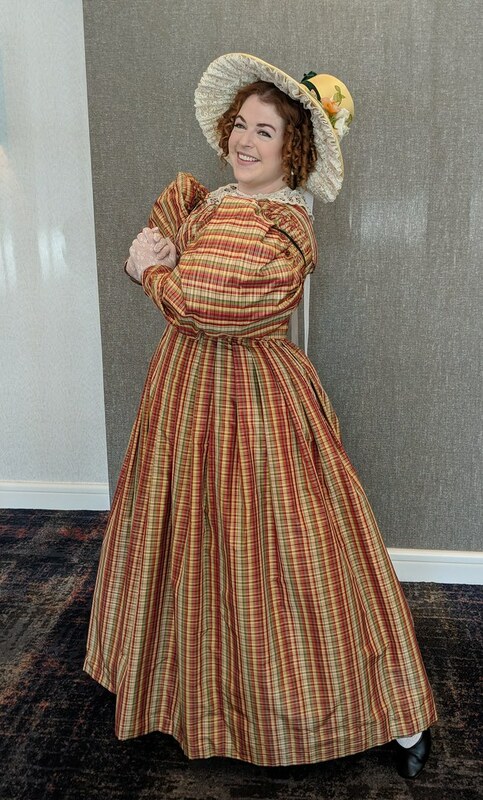 Now that that's done, though, I really want to jump back into historical sewing. I think I'm going to start with an s-bend corset. 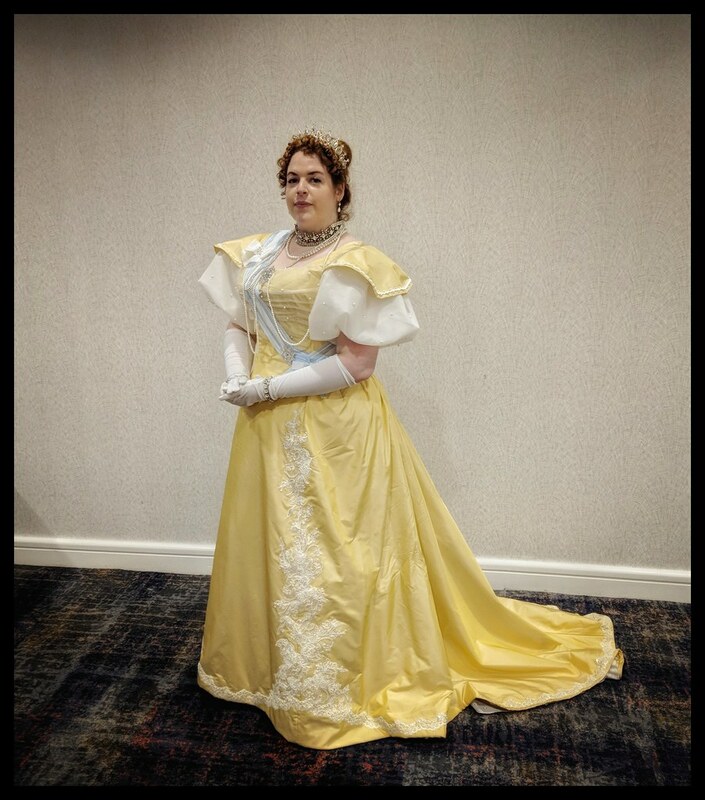 I know it's not accurate, but I'm still toying with the idea of using it with my 1890s gala dress, since it makes such a nice shape. So I'm probably going to mock that up first, to the point where I know what size of busk and metal boning I need. That way, I can place that order and move on to the skirt of the gala gown while I wait. 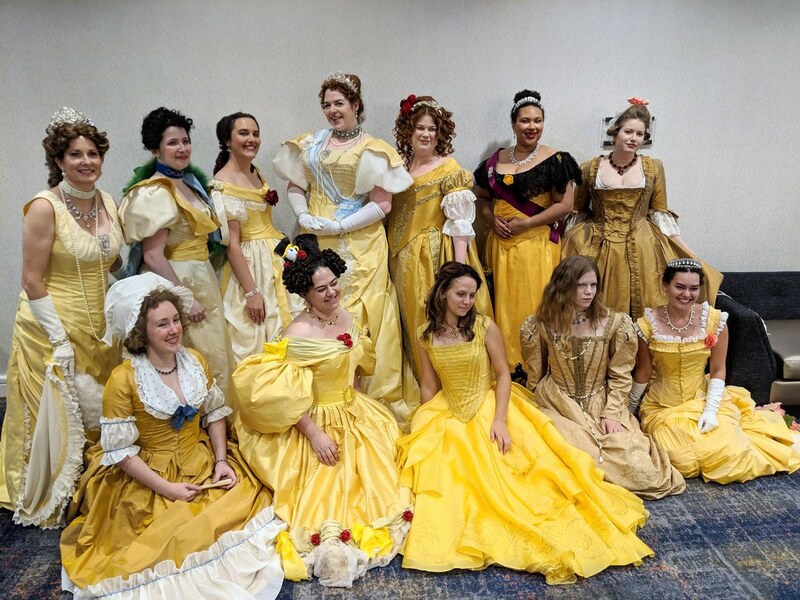 Of course, I also still don't know exactly what I want to do for the gala gown, either. 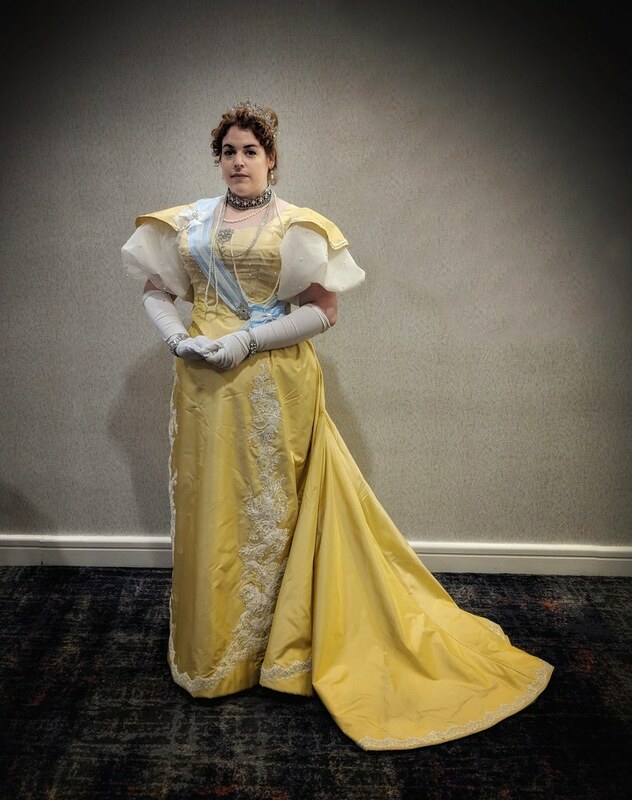 I've been planning a yellow 1890s dress since last year, but now there's a couple people doing super gorgeously decorated yellow 1890s dresses, so I feel like I need to step up my game. 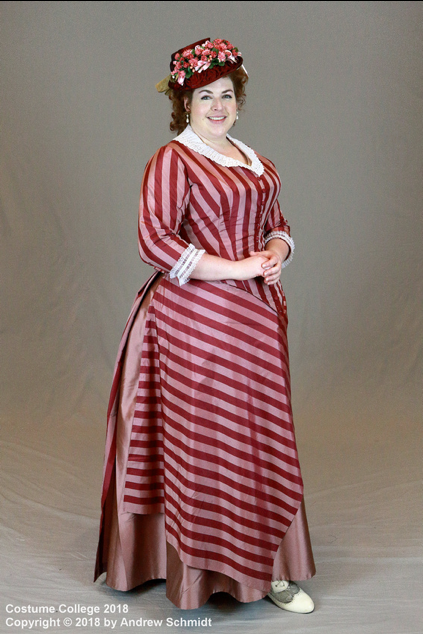 So I'm thinking about going back to my initial idea of the dress from the Hermitage. The only thing is, the feathers I have are just not as nice as those feathers (obviously) and a feathered hem seems like it's just asking for trouble. And something tells me they wouldn't survive even a single wearing. But the cutaways on that dress seem decorative enough that it would be a bit more impactful than a plain dress. 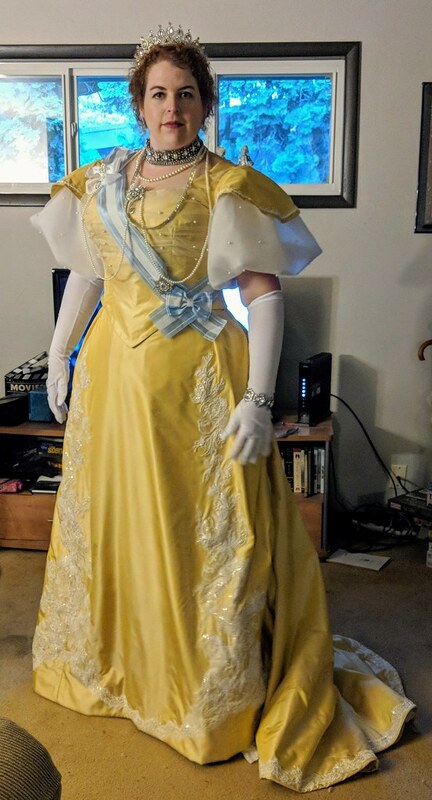 Or I could go in a completely different direction, and go with the golden yellow silk I bought, and hope that the color would speak for me. Ugh. I really need to figure this out!